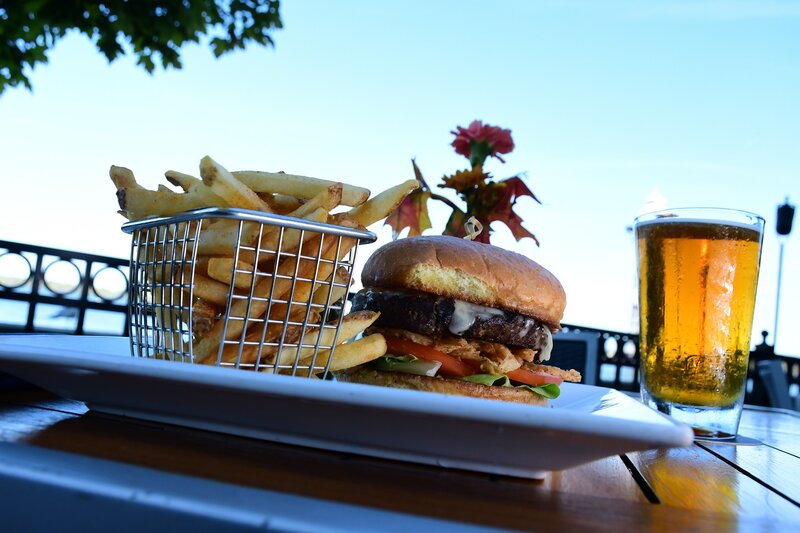 Overlooking Presque Isle Bay and boasting stunning water views, the Bayfront Grille is the perfect location for a leisurely meal in Erie, Pennsylvania. 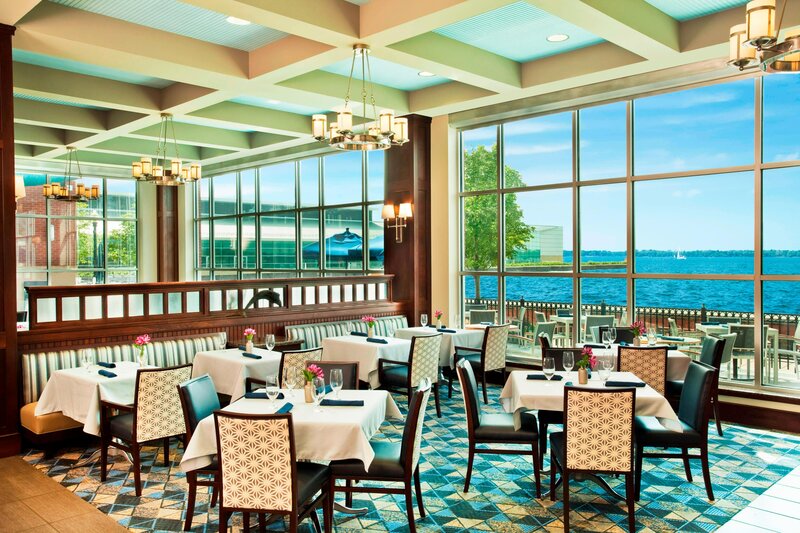 Located in Sheraton Erie Bayfront Hotel, Bayfront Grille is open for all-day dining, with mouthwatering restaurant offerings like Benedict Style Hash in the mornings, Perch Sandwich at lunch and Seafood Pappardelle at dinner. 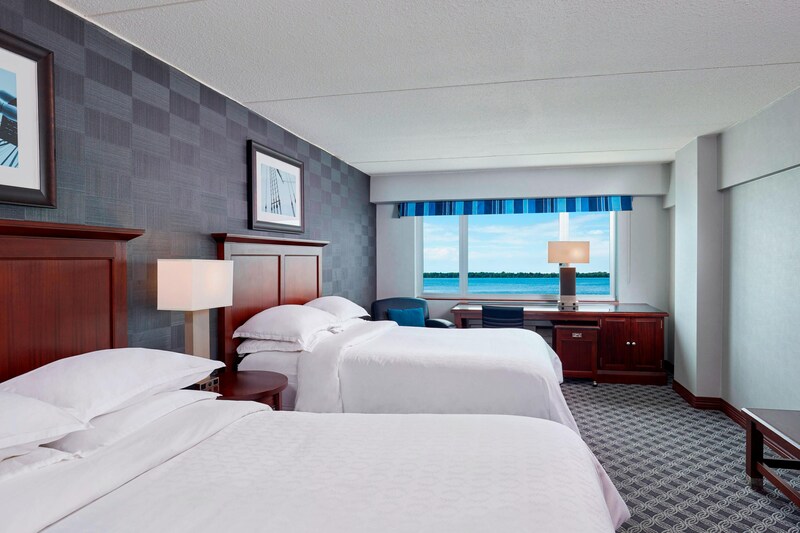 Travel to Sheraton Erie Bayfront Hotel and experience the area&apos;s premier hotel. Sheraton Erie Bayfront Hotel is the proud recipient of the 2018 TripAdvisor Certificate of Excellence honoring outstanding hospitality businesses that consistently deliver great service across the globe. 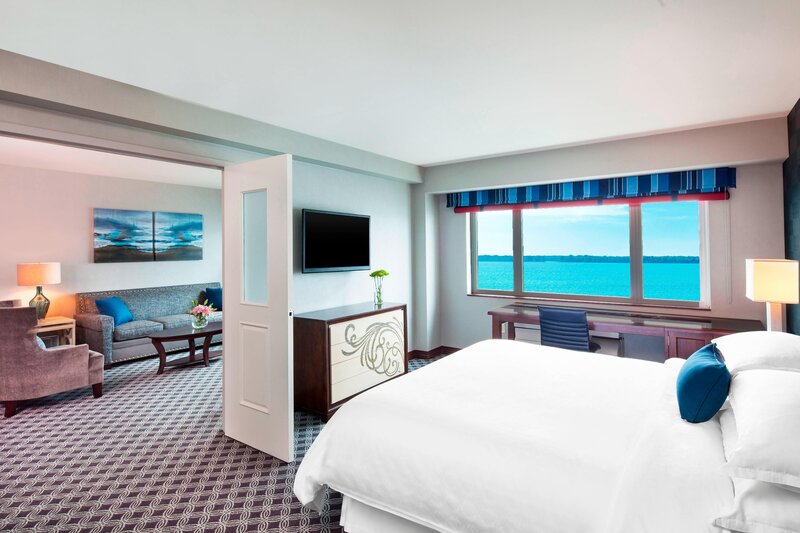 From stunning views to thoughtful amenities, Sheraton Erie Bayfront features warm and inviting rooms and suites. 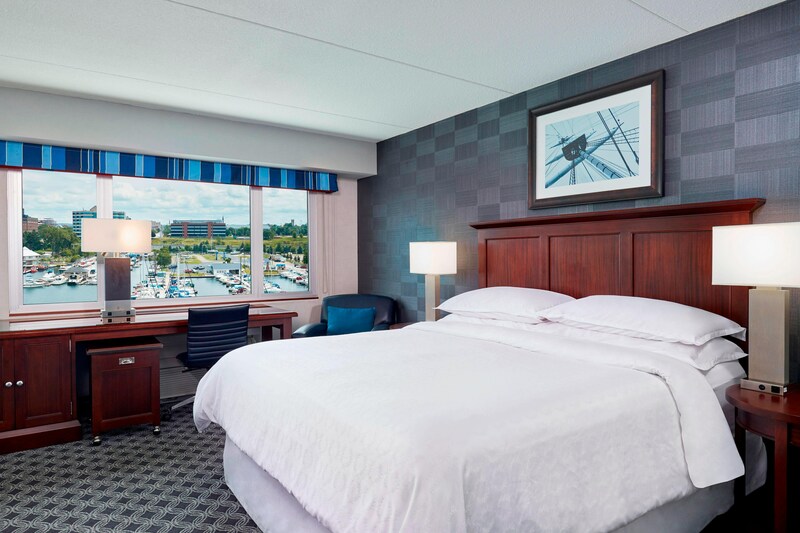 Nestled on Presque Isle Bay in the Marina District, we offer guests dramatic waterfront views, recently refreshed accommodations and an array of superb amenities. 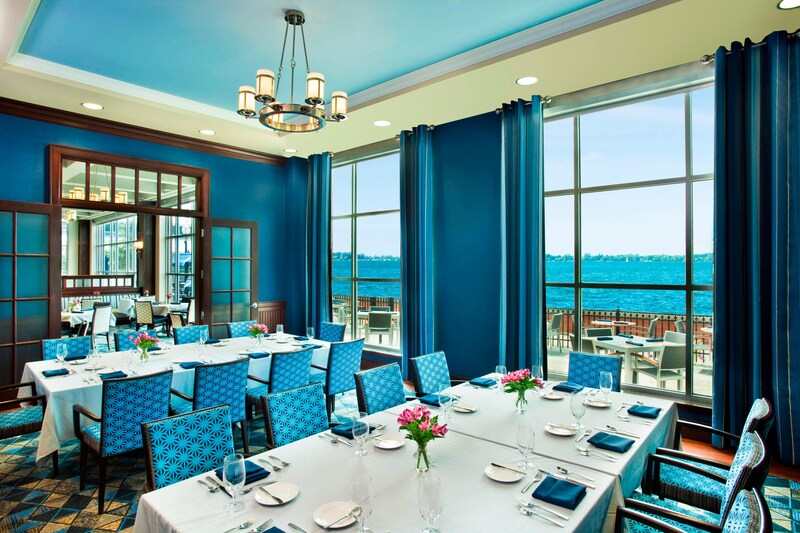 Explore the array of wedding services and amenities at Sheraton Erie Bayfront Hotel. 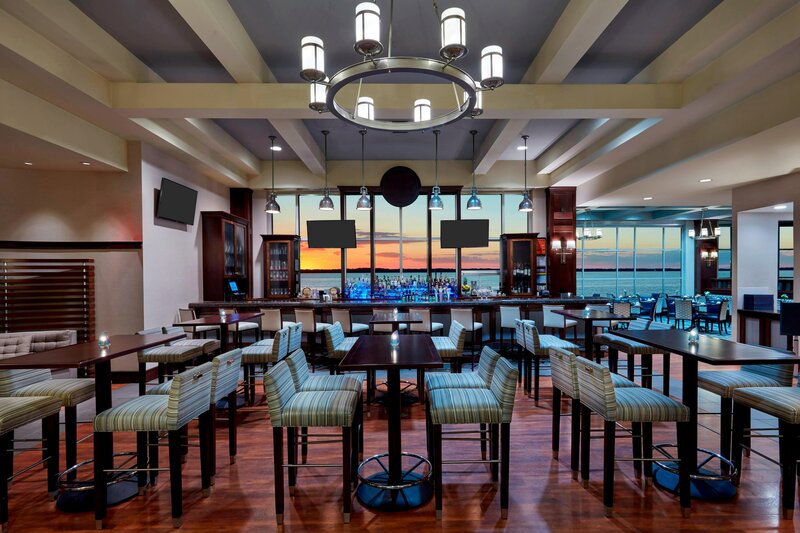 Take advantage of our dedicated on-site event specialist, over 5,800 square feet of flexible meeting space on the shores of Lake Erie’s Presque Isle Bay, plus a seamless connection to the Bayfront Convention Center via skywalk, providing an additional 70,000 square feet of event space.